The tournament consists of ten players who will be randomly assigned into two groups. 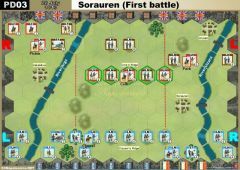 In the preliminary phase (Rounds 1-5), one group will play the French side and the other group will play the British side (and/or its ally) in each scenario. A schedule will be provided that shows the match-ups for each round of the tournament. After the preliminary rounds are completed, the two players from each section who won the most total banners will play each other in a two-game match for the Semifinals, playing both sides of a single scenario. The winner of each group will then meet in the Finals, to play a two-game match for the championship. Ties for most total banners at the end of the preliminary phase or in a two game match are broken by determining which player lost the least number of banners to his opponents; if the total banners lost is also equal, then the tie is broken by least total blocks lost. 1. A game ends immediately when one player earns the required number of banners to achieve victory. 2. Once the schedule for the tournament is published, players are responsible for contacting each other and setting up a time to play their games. There will be a tournament page with the schedule of games, standings and player list with contact information provided. 3a) Players, left during tournament: If a player left tournament, indifferent the reason, and he have played up to 1-2 games, I delete this games/results complete. If he have played 3-4 games, the results of these games apply and I score the not Played games X:0 of victory points and the lost blocks will scored as a average of all others Players in this game (upround). 3b) If a semifinal or final player is not able to play, indifferent about the reason, his opponent is the winner. I decided this way, because I don´t want spent to much time more for the MiniTournament games. 4. 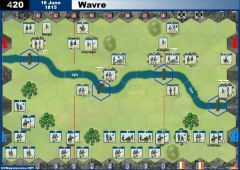 All players should use the current version of either the Official or Alternative C&C Napoleonics module and extensions available from the ccnapoleonics.net web page or this website respectively. If agreement cannot be reached in this respect, decide with a friendly die roll. 5. Both players should start a logfile once the game is open, but prior to drawing cards. 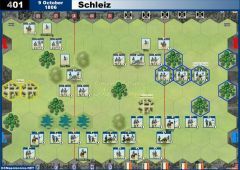 After the game is over, the winning player should upload the logfile to the appropriate thread on ccnapoleonics.net. Of course, if the winning player’s logs are corrupted or incomplete, the other player should upload his logs. short synopsis of the match, highlights, decisive moments etc. 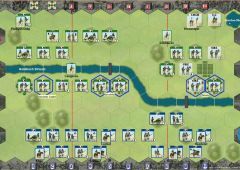 Notes: Additional to the scenario victory conditions, counting blocks lost include units or leaders that evade off the board. Same apply with destroyed Cossacks, they count also as lost blocks. 6. 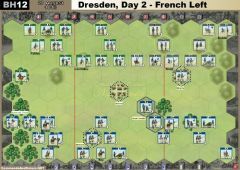 All games should be played in adherence to the official Commands & Colors Napoleonics rules and the current FAQ. In addition, players should also familiarize themselves with the “C&CN Vassal Conventions” given below. 7. It is up to the individual players to arrange and play their games. The schedule will give a deadline in which all the games in a round should be completed. If a player does not respond to emails, please contact the tournament referee. It is important to keep the referee informed of problems as they occur. Generally, if a deadline passes without communication to the referee from either player involved in a game, both players will be counted as having forfeited the game. 8. The tournament referee will be the final arbiter of disputes. If the referee is playing in a tournament and is involved in a dispute, the designated assistant referee will arbitrate. Hopefully, this rule will not be necessary as this tournament is being set up for people to play games and have fun. Most problems that arise in a game can be easily solved with good sportsmanship. 1. The side listed as moving first in the scenario will draw command cards first. 2. To play a card, drag it from your hand window to the map board. Wait for your opponent to place the card on the discard pile, allowing him time to read the card. 3. 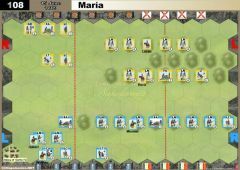 When moving units multiple hexes, make sure to move them a single hex at a time to generate an accurate movement trail. 4. 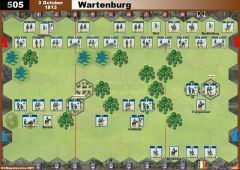 Units which are ordered but not moving should be highlighted before the battle phase of your turn by right-clicking the unit and selecting “Order Unit” from the pop-up menu. The same process will remove the highlight from a unit, if necessary. 5. 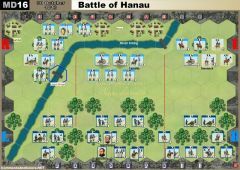 To battle, right click the attacking unit and select “Attack Marker” from the menu to place a yellow attack marker on the attacking unit, and then right click the target unit and select “Target Marker” to place a red target marker on that unit. 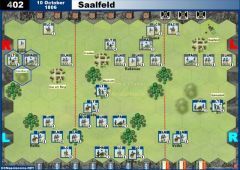 Once the markers are placed, the attacker should notify his opponent of the number of battle dice to be rolled in the chat window (by typing “3d” for a 3 battle dice attack, for example). The defender will then confirm the attacker’s note (with a “y” for yes, or similar) or will play the First Strike card (reversing the order of attack). Of course, if the attacker has entered what the defender believes to be an incorrect number of dice, he should instead advise his opponent of this. 6. In situations where a defending unit may Retire and Reform, this query can be added to the battle dice notification for brevity. For example, the attacker would type “3d r?”, and then the defender should indicate his evasion choice by right-clicking the target marker and selecting either “Retire” or “Stand” before confirming the dice number of the attack. 7. 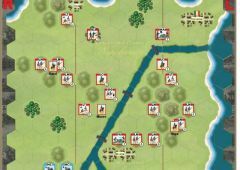 Once the attack is resolved, the attack marker should be converted to a “Battled” (blue) marker via the right-click menu. The target marker, if it has not been converted to a Retire or Stand marker, should be either deleted or dragged to the next target unit. To avoid confusion, there should never be more than one yellow attacker marker and one red target marker on the board. 8. If you roll too many battle dice, simply use the results of the correct number of dice, counting from left to right, from the roll already made and ignore the excess results. If you roll to less dice, roll only for the missing additional dice, instead making a complete new roll. 9. 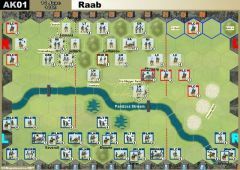 After your combat phase is complete, draw a command card, then push the “Clear” button to delete the combat markers from the board and to remove all the highlights and movement trails from the units on the board. This ends your turn and signals your opponent that it is his turn. 10. 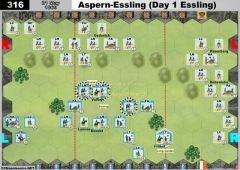 When returning to a game after losing connection with the Vassal server, the player who returns should synchronize to the player who remained connected and has an uninterrupted logfile. Last edit: 4 years 2 weeks ago by Bayernkini.